Greeley West TOK students gather around Mr. Travis Krause while they hunt for bugs. 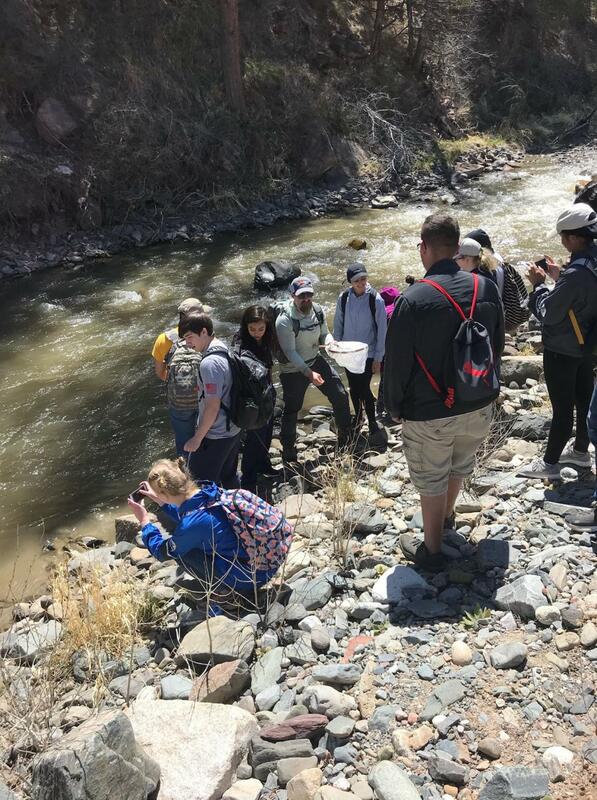 Last Wednesday, the Junior IB TOK class took a trip to Sylvan Dale Ranch in Loveland to learn more about their unit, Indigenous Knowledge, through a hands on activity. At Sylvan Dale Ranch there was lots of open space so the Junior IB class hiked up to a canyon and ate their lunch outdoors. At Sylvan Dale Ranch the guide led the 19 students through different team building activities such as trying to balance on a 2X2 piece of wood all together. Also, the students got to swing on a tire swings for team bonding. After all of the team building activities the students collected bugs at the river just for a fun activity.